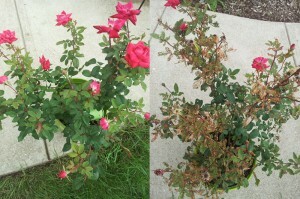 After many test runs on roses, the use of BugVibes™ still proves to result in the growth of beautiful and healthy roses. 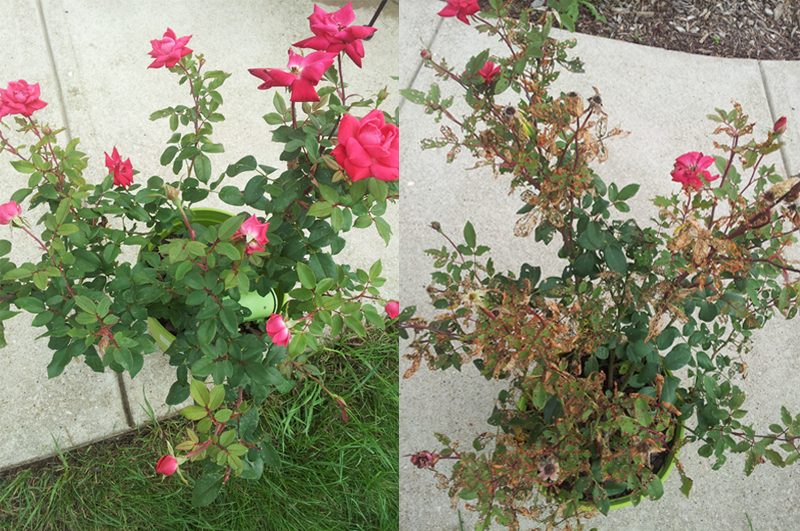 The following images show the results of two rose plants put outside together for four weeks, one with BugVibes™ and one without. The difference is remarkable! Testing is still in progress for many other plants. Initial results have come back promising for: tomatoes, soybeans, potatoes, dwarf trees, young trees, cherry and other small fruit trees, vines, and herbs. Miles ahead in organic technology, BugVibes™ is a revolutionary new product line which utilizes electronically controlled vibrations (targeting the pest’s “fight or flight,” reaction) to help ward off many types of pests. The devices mount to a tree or plant and vibrate, chasing away pests. Originally developed for Japanese beetles, they have many applications at this point.